You have all watched movies that suggest human beings may bring about a horrific robot apocalypse, but in reality building killer robots may be the only and best option to take. Well, at least when these robots are being used to combat invasive species. 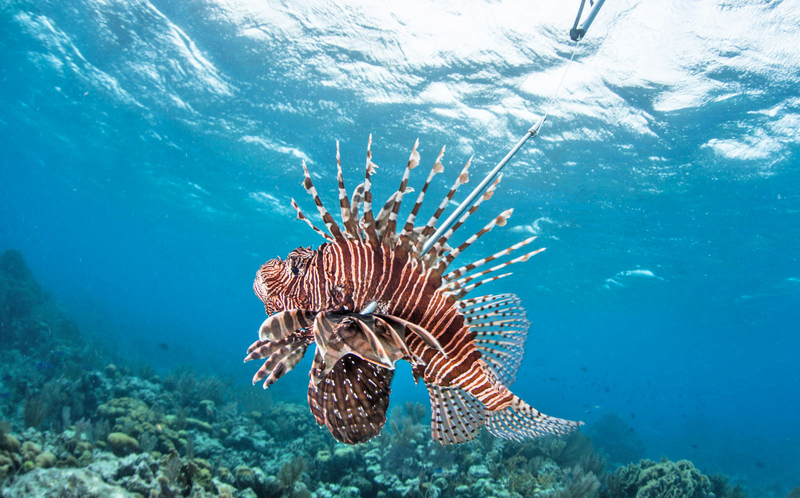 And here is the latest development: Robots in Service of the Environment (RISE) researchers are working to develop a robot that can fight against population of the Lionfish which is harmful to the ecosystem off the coast of Florida. Well, the animal conservationists will be quick to criticize the decision to develop a robot that will exterminate a specific species. However, you have to keep in mind that this is an environmental issue. The Lionfish in question are not native here and the local wildlife has not registered them as predators. Thus, their ever increasing population is dangerous to the other carnivores. They actively consume the limited food supply and starve the other species. It is thus essential to cull the Lionfish population to protect the local ecosystem. But the problem is that the number of Lionfish is far more than the hunters. The only alternative is thus to build robot hunters. The instigator of the idea is RISE founder and CEO Colin Angle after having had a first-hand experience with the issue in Bermuda. He has by far constituted a group which managed to electrocute lionfish. This is still a young project but its prototype is already being tested in reef waters to ensure that the robot will not be terrifying to fish. RISE is also carrying out tests of the actual shocking mechanic on lionfish before taking it large scale in the waters. That means that it will be a while before the real process is implemented. The hope is that the final robots will do the good work of balancing the ecosystem. But at the moment it is still a weird thinking that killer robots are helpful.